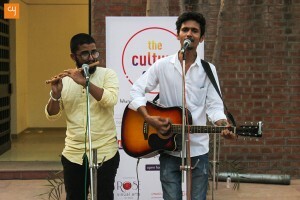 The Culture Club attracted a footfall of nearly a thousand people at Hutheesing Visual Art Centre last Sunday. Veteran artist Vrindavan Solanki gave a live art demo of his famous rural figures, while artists and art-lovers interacted freely with connoisseurs over an exhibition of 100+ works. In the 1990s, legendary artists like Piraji Sagara and MF Hussain would often be seen gracing various corners of KL Campus, practising their art out in the open. So on May 20, 2018, when veteran artist Vrindavan Solanki arrived with easel and paint to KL Campus to do the same, it felt as if an era was being relived. Solanki painted sepia rural figures in front of hundreds of art lovers, openly demonstrating his art process. Enthusiast onlookers who were startled to see the demonstration couldn’t stop capturing this iconic moment in their phones. Not Solanki nor the organizers knew that this would be such a massive moment for the event and it was pleasing to see such response from the audience. The weather was sweltering and yet the viewers watched the blank canvas come alive in rapt attention, eventually breaking out with a thunderous applause. This was for The Culture Club, a one-of-a-kind celebration of visual arts organised by Rose Visual Arts, in association with CreativeYatra.com and GiNiPi Art. 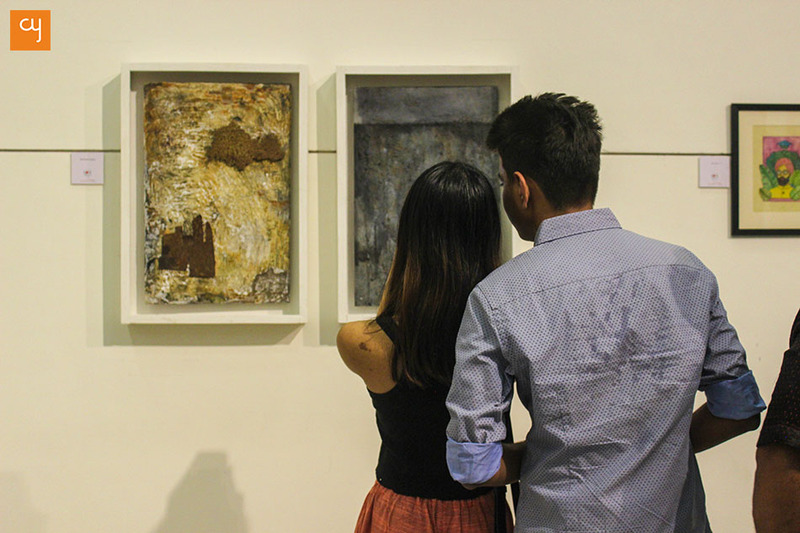 For its ‘Episode One’, The Culture Club focused on bringing the ‘open art’ format back to KL Campus. 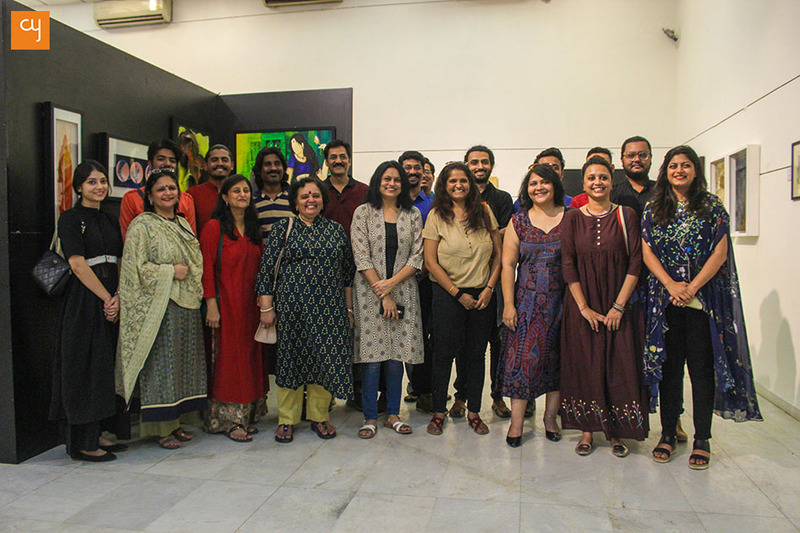 Another critical part of the show was an ‘open gallery’ exhibition that housed more than 100+ artworks by 45 artists whose works had been selected out of submissions received from all over India. In the past three years of visiting art shows as a reporter, I’ve never quite seen a crowd like the one that flocked to The Culture Club on May 20. Although a one-evening engagement, the show at Hutheesing Visual Art Centre attracted a footfall of nearly a thousand people, such that it was difficult to walk without stamping on somebody’s foot during the show’s peak hours! 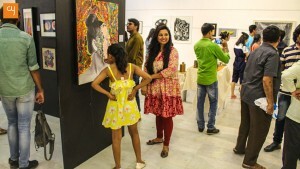 While seasoned art lovers studied the art on display, many new and curious faces were also visible at the gallery. 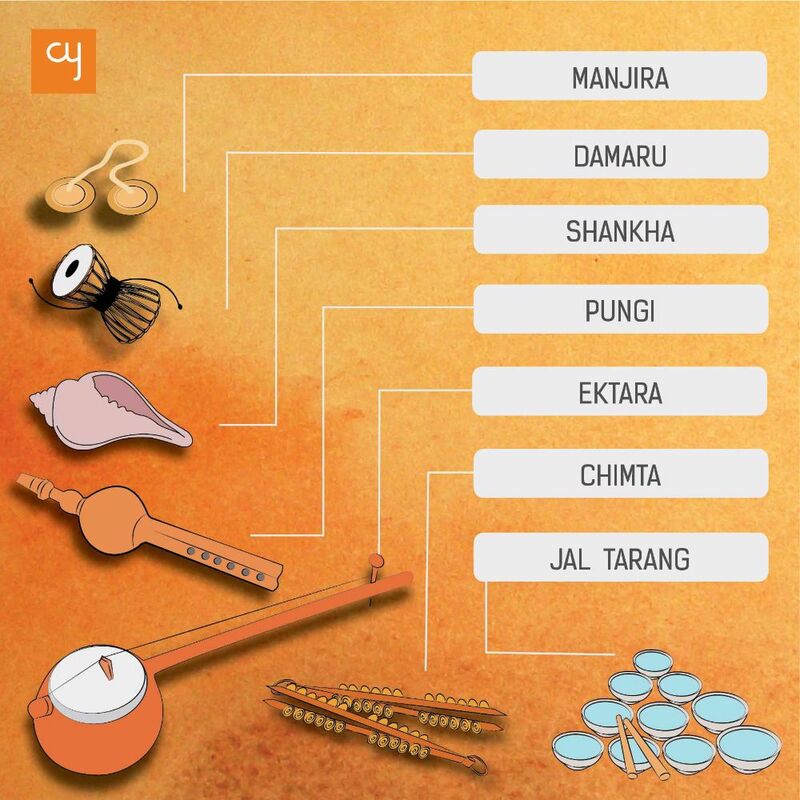 Since the artists hailed from many different walks of life–they were not only from Ahmedabad but also from Aurangabad, Gandhinagar, Udaipur and Mumbai– their ideas were fresh for the local crowd. Each artwork had been meticulously displayed by the team of GiNiPi Art, such that the exhibition wasn’t too overwhelming, despite there being over a hundred different works. Since the artworks were assorted, ranging from paintings and sculptures to digital prints and even sketches, I’ll make a mention of some of the most exciting creations. Architect Naomy Parikh’s ceramic utensils and Antisha Balar’s wooden Egyptian statue grabbed a lot of eyeballs during the show. 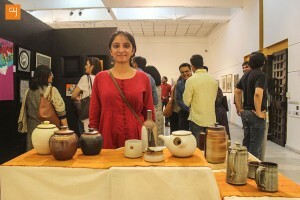 The ceramics as a medium, is comparatively less showcased in Ahmedabad, and Naomi’s natural finesse with the medium had some wonderful result to show. Balar’s wood sculpture of a face stood at the exhibition with a stalwart posture and that connected with the audience more intimately. As a lover of canines, I was enamoured by the appearance of Vinit Barot’s stunning Doberman sculpture made out of scrap metal. An aquatint etching by Gopal Parmar portraying a tree of life emerging from the Bhagavad Gita was a brilliant surrealist work of art that wooed a lot of people, including GiNiPi Art’s curator Giriraj Kadia who is planning to feature Parmar’s work in his upcoming exhibition. 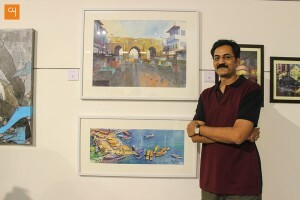 Artist Jitu Oghani played with the viewer’s imagination by combining the natural and the manmade. In one work, he combines organic wood with synthetic stainless steel to define shapes, while in another work, he depicts a manmade cityscape on a banana! 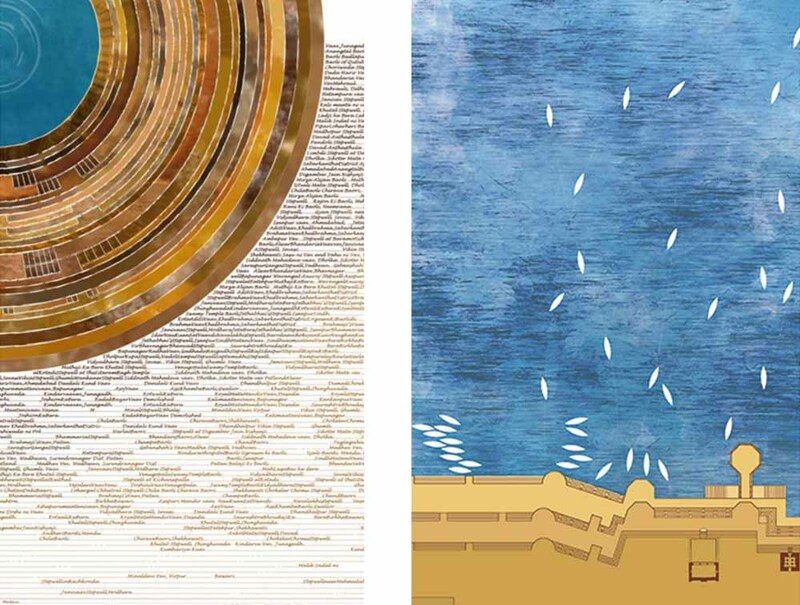 Talking about cities, artist Abhishek Dodiya’s portrayal of Ahmedabad city using rusted metals was also commendable, while Hemal Solanki’s realistic aerial view of Varanasi’s Ganga Ghat, and his description of Ahmedabad’s iconic heritage gate, were matchlessly detailed. 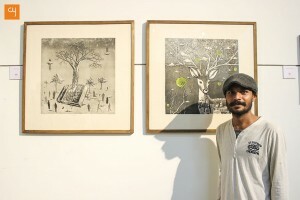 Sneha Ramrakhiyani’s Reincarnation made with pencil on paper contrasted a lush sapling against a monochromatic setup. Though she only presented a single piece at the exhibition, her art spoke volumes about her maturity in using colour combinations and arranging subjects. 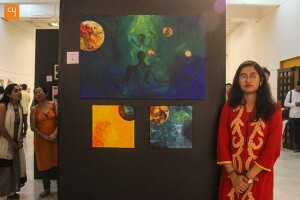 Hasmukh Makvana, a student of MS University, exhibited a watercolour work on rice paper that conveyed a hidden message about life functions. Painter Chetana Wagh juxtaposed zodiac signs with food in her painting on wood, integrating the fish of Pisces and the crab of Cancer into her image. 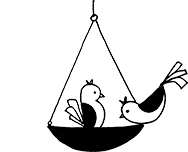 The Culture Club seemed to extend the reach of the art fraternity towards the wider community. 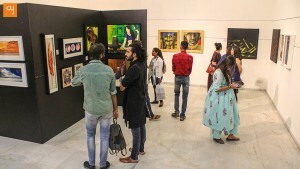 The 45 artists freely exhibited their art and connected with art connoisseurs, while the place was flooded by music played by guitarist Manish Malviya and flautist Mann Yadav. Veterans from the fraternity openly interacted with the public, following the live art demonstration by Vrindavan Solanki. 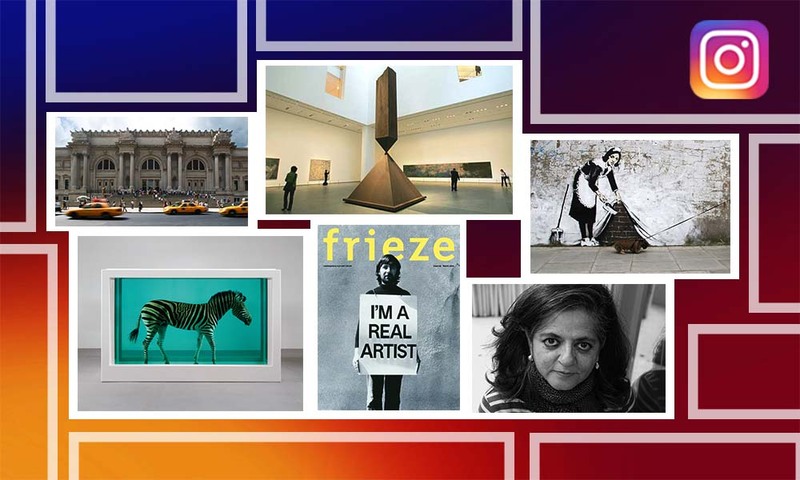 It’s not implausible to imagine that if more such open art events become part of the city’s culture, the art scenario of Ahmedabad might reach the level of that of popular art centres of India. The event saw many collectors as visitors to the show and it is an evidence of their interest in art by emerging artists. Prominent among them were Pradip Chona and Shujaat Mirza among others. 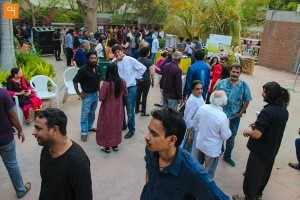 We hope this energy continues to flow and Ahmedabad hosts many such engaging arts events.